We quote the following texts from the Vedas and Upanishads from those collected by Dr. J. Muir in his valuable book "Metrical Translations from ancient writers." 1. "Whatever is done with Knowledge with faith with yoga, is more efficacious." II. 1-10 Chandog Up. 2. "They have no faith in that man's sacrifice who sacrifices without the exercise of faith" I. 6-8-1. Tait. Samhita. 3. "On what are largesse's based? On faith, for when a man has faith, he bestows largesse. On what is faith based? On the heart; for it is through his heart that a man has faith." XIV 6,9.22. Satapatha Brahmana III.9.21. 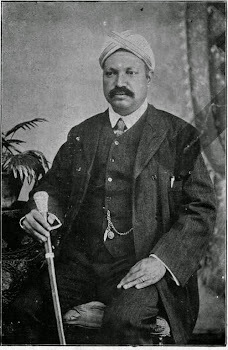 Brihad Aranyaka. I.55.5. "Men have faith (sraddadhate) in the fiery Indra when he hurls again and again his destroying thunderbolt." I.102, 2. "Sun and moon move alternately, O Indra, for us to behold, that we may have faith (in thee?)" I.103, 5. "Behold therefore this his great force; have faith in Indra's prowess." I. 104, 6. "Do not, O Indra, destroy our valued enjoyment we have put faith in thy great power. 7. I verily believe that faith has been reposed in thee; do thou, who art vigorous, advance us to great wealth." I. 108, 6. "Since I said at first, when desiring you twain (Indra or Agni), this our soma is to be sought after by the deities, - come now, regarding with favor this our true faith, and drink the poured-out soma." VII. 32, 14. "Who, O Indra, can overcome the man whose wealth thou art? By faith in thee in the critical day (of conflict) the hero gains spoil." In the following texts the reality of Indra's existence and power is asserted in opposition to skeptical doubts:- ii.12, 5. "That dreadful deity, of whom they ask 'where is he,' of whom they say 'he is not,' – he carries off the riches of the foe, as (a gamester) the stakes;* put faith in him, O men, is Indra. VI.18, 3. "Hast thou prowess, O Indra, or not? tell us truly. Thy strength, O thou strongest of beings, who art great by nature, is really existent." I.61, 2. "They polished their praises for Indra, their ancient lord, with heart, mind and understanding." VI. 28, 5, "These cows, O men, are Indra: I desire Indra with my heart and mind." I. 93, 8. "Do ye, O Agni and Soma regard the acts of the man who worships you with an oblation, with a mind directed to the gods, (devadricha manasa), and with butter." (The same phrase occurs in I, 162, 12). X. 160, 3. "Indra does abandon the cattle of the man who loves the gods, and with a longing mind, and with his whole heart, pours out to him libations of soma. IV. 24, 6. "He bestows deliverance of the man who, with mind directed to him and unreluctantly pours out soma to longing Indra: he makes him a companion in his fights." (for good), offers gifts to the wide-striding Vishnu, who worships him with devoted mind, and seeks to gain so great a hero." VIII. 2, 37. "Worship, O Priyamedhas with devoted mind Indra, who is really exhilarated with soma." IX. 77, 4. "This soma knowing (our affairs) and lauded by many with devoted minds, will overcome our assailants." V. 4, 10. "Give renown, O Jatavedas (Agni) to me, who, a mortal, constantly invoke thee, an immortal, with a laudatory heart (hrida kirind): may I with (or through) my offspring attain immortality." VIII. 50, 9. "The man, whether learned or unlearned, who, devoted to thee, dedicates to these a word, will delight thee." VIII. 21, 14. "Thou never chooses a rich man to be thy friend Men intoxicated with wine are hostile to thee. When thou makest a sound, thou gatherest them together then thou art called upon as a father." In 5, 44 the following verses occur:- 14. "The Rik verses love him who is awake, the Saman verses proceed to him who is awake. This soma-libation says to him who is awake: "I am pleased with thy friendship." 15. Agni is awake; to him do the Saman verses proceed. Agni is awake; to him does this Soma say, 'I am pleased with thy friendship." The 151st hymn of the 10th book of the R.V. is addressed to Sraddha, faith. It is as follows:- I, "Through faith the fire is kindled; through faith the oblation is offered,* [* That is, according to Yaska Nirukta IX. 31, "is well kindled,: is well offered."] with our words we proclaim faith (to be) upon the head of good fortune.† [† i.e., according to the commentary on the Taitteriya Brahmana, ii.8, 8, ff., where the hymn is quoted, "Faith is the cause of good fortune to men." "Sayana in his explanation of this hymn, however, defines Sraddha to be "a particular desire which a man has."] 2. O faith, make this which I utter acceptable to him who gives, and to him who desires to give, and to liberal worshippers. 3. As the gods caused faith in (the minds of) the fierce Asuras, so make what we utter (be an object of faith) to liberal worshippers. "Through faith a god attains godhead; faith is divine, the support of the world; favoring us, she has come to our sacrifice, having enjoyment for her offspring, and yielding nectar (or immortality). * [* The commentator quotes here a Smriti verse to this effect: "sacrifice offered, gifts bestowed, or austerity practiced, without faith, are called bad (or null) , and have no existence either here or hereafter, O son of Pritha."] Faith, the divine, is the first born of the ceremonial, the sustainer of the universe, the supporter of the world. Her we worship with an oblation. May she assign to us an imperishable world, she the ruler, the divine sovereign mistress of all that exists." In several passages of the Atherva Veda also reference is made to faith. Thus, VI. 35, 7: "I cook this all-conquering Brahmaudana offering: may the gods hear me who have faith." VI. 122, 3, (and XII 3, 7). "Those who have faith attain to this world." IX. 5, 7, and 11, "The goat drives far away the darkness, being given (offered up) in this world by a man who has faith." XI. 2, 28, "Be merciful, O King Bhava, to the worshipper, for thou art the lord of cattle. Be gracious to the four-footed and two-footed beings of him who believes that the gods exist." XIX. 64, 1, "May he Jatavedas (Agni) give me faith and understanding." The Vajasaneyi Samhita has these verses about faith. XIX. 30: "By giving gifts faith is obtained, and by faith is gained truth." XIX. 77: "Beholding the forms of truth and falsehood, Prajapati distinguished them; to falsehood he attached disbelief, and to truth he attached belief (or faith)." The following is from the Taittiriya Samhita i.6, 8, 1, "He has no faith in what he offers who sacrifices without the exercise of faith. He brings water. Water is faith. He sacrifices exercising faith; and both gods and men have faith in his oblation." See also Aitareya Brahmana V. 2. 7, near the end of the section. The Brihad Aranyaka Upanishad iii. 9, 21 (=Satapatha Brahmana XIV. , 9. 22) thus refers to faith. "On what is sacrifice based; on largesse's, on what is large based? on faith for when a man has faith, he gives gifts; so it is on faith that largess is based; on what is faith based? on the heart; for it has assurance through the heart: it is on the heart that faith is based." There are many verses about Sraddha in M. Bh. XII. 2308, 2320. See also M. Bh. Iii. 12732, and 12734.